Aberavon v Pontypridd. Pic: Craig Thomas/Replay Images. First they made it bigger, then they made it smaller. Now, the constant tinkering and down-grading could mean Welsh rugby’s Principality Premiership disappears altogether, warns Robin Davey. Welsh rugby’s Principality Premiership . . . it sounds elite, special, as if care would be taken over it. But the truth is that it’s an unholy mess. Wales may have won the Grand Slam, Project Reset may have been signed between the Welsh Rugby Union and the regions with the hope of better things to come, but below the regional structure the next tier down is a dog’s dinner – a leftover, mixed up with someone else’s indigestible remnants, blended with some or other unwanted mess. Nothing about it seems to satisfy the governing body and amid all the confused messages continually being sent out to the clubs – once the lifeblood of the game – the players and fans continue to suffer. The Premiership was initially considered to be the most important tier of the game in Wales – the source of players, domestically at least, to move up to regional level. But concerns began to grow that it was not doing the job it was designed for. Too few players were considered capable of making that step and too many journeymen were being paid too much money. So, measures were taken to try and breathe new life into the ailing patient. It was decided to ring-fence the league in order to provide some kind of security for the 16 clubs and supply a good number of fixtures through the season. 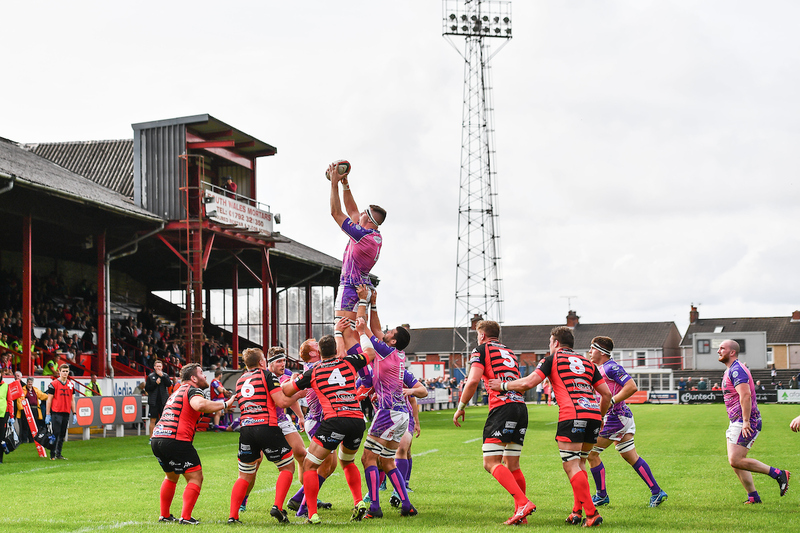 That, understandably, raised objections from the Championship clubs beneath – notably the rapidly-improving Pontypool, who understandably felt aggrieved at being denied their right of promotion to the Premiership if they won the title. But the decision stood and we had ring-fencing. The three-year trial period duly ended and another system was put in place for this season. Swansea v Neath. Pic: Craig Thomas/Replay Images. The Premiership would be reduced from 16 to 12 clubs, four would be relegated, and there would be a play-off between the Championship winners – inevitably Pontypool – and the 11th-placed Premiership side for the final place. That led to protests there wouldn’t be enough meaningful fixtures for clubs, many of whom are already cash-strapped and reliant to a large degree on backers of the type Stan Thomas represents at rejuvenated Merthyr. But that is not the end of it. For the feeling is that even with these changes the Premiership is still falling short. So, there has been the creation of another level between the regions and the Premiership in a further effort to bridge the gap. Step forward, regional A teams. What was originally just an vague idea has now developed into a full blown competition with a Celtic Cup starting next season between Welsh and Irish A teams. The intention is to free up the first six weeks of next season solely for this competition with the reduced Premiership not starting until mid-October in a World Cup year. Cue more outcry. Where exactly does this leave the Premiership clubs now? Already reduced to a mere 12-strong bunch, they will have just 11 home league games per season. The first of those is now not being scheduled until mid-October. How are they meant to survive on that? Supporters, already dwindling in many cases, may be so discouraged at having to wait that long to watch their clubs start the season they may not even bother any more. Already many are struggling and Neath almost went under this season. Others are in difficulties more acute than they care to admit in public and on this basis they may not even be able to continue. There are still a number of fans who feel so disenfranchised by the regional system – which has never really caught their imagination – that they don’t watch rugby at that Pro14 level. They prefer to support their traditional clubs, but where do they go on the 41 weekends of the year when they won’t have a home game? Those fans who watch Premiership rugby may be on to something. The standard is nowhere near as bad as has often been made out. I watched the Gwent derby between Newport and Ebbw Vale at Rodney Parade last Saturday and found it a thoroughly enjoyable experience. It was a highly entertaining game, a decent standard, with lots of tries, plenty of thrills and spills, and it even had the drama of a last gasp winner when Ebbw Vale full back Rhys Jones won it with the very last kick of the match to seal a 31-29 victory. On top of that the game was watched by a reasonable crowd of approaching 1,000 in the Bisley Stand, full of passion which added to the atmosphere. Despite the agonising defeat most, if not all, will surely return, encouraged by what they saw. But the club game is gradually being eroded, even downgraded with some now arguing it should eventually become completely amateur, with the savings put into the regions to make them more competitive. That would be highly controversial and it remains to be seen what the real future holds for our traditional clubs. The formats and structures may be tinkered with again but the bleak reality is that some of those great clubs may soon now start to disappear altogether.